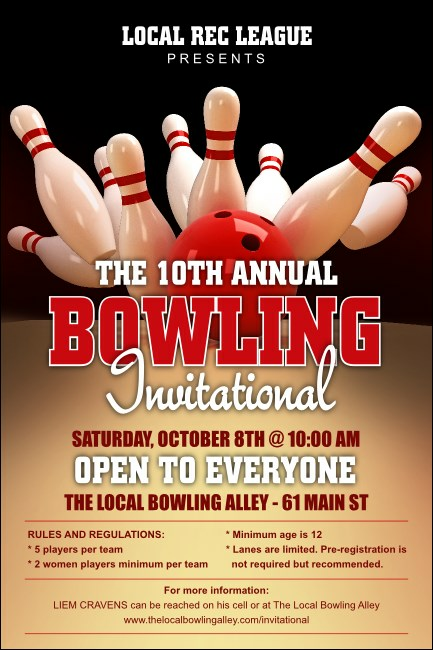 Spare yourself from unneeded stress with your pre-event promotions when you print Bowling League Posters and post them before your bowling event. Strike the right chord with your target market with these professional Poster templates that feature a cherry red bowling ball knocking down a line of white pins on a black background. Find the right lane for great advertising at TicketPrinting.com.